Fate/Extella Link opens at 116,803 retail sales. Marvelous’ Fate/Extella Link sold 78,647 retail copies on PlayStation 4 and 38,156 retail copies on PS Vita for an opening week of 116,803 sales, the latest Media Create sales figures reveal. 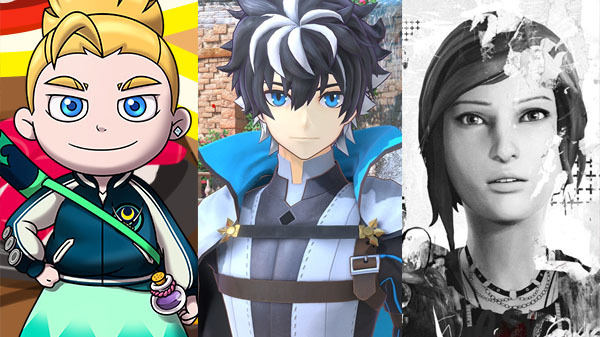 Also new this week, Square Enix’s Life is Strange: Before the Storm for PlayStation 4 sold 8,091 copies, and Nintendo’s Sushi Striker: The Way of Sushido sold 5,235 copies on Switch and 2,392 copies on 3DS for a total of 7,627 copies sold. The Complete Edition of Little Nightmares also launched at 7,776 copies sold on Switch and 5,041 copies sold on PlayStation 4 for a total of 12,817 opening week sales. On the hardware side, Switch sold 40,587 units, the PlayStation 4 family sold 26,671 units, and the 3DS family sold 6,842 units.